Tonight’s big budget performance was the Yamato drummers from Japan. Yomoto’s live show has been watched by more than 6 milion people since they were formed in 1993 in the town from where they take their name. You might call them the U2 of taiko drumming. They made their international debut in 1998 Festival Fringe right here in the ‘burgh, & it felt great to have them back as their 7 members (5 men and two women) play traditional Japanese taiko drums, ranging in size from the size of a snare up to a drum of bowel-shifting proportion at around 1.5m in diameter. The show is divided into 2 sets of an hour, presumably to give the performers a rest from the ferocious pace of the performance. Make no mistake these guys are athletes as well as talented musicians. This is drumming as a martial art. They are not purely percussionists: other traditional instruments are used like the shakuhachi (Japanese flute), shamisen(plucked string instrument), chappa (hand cymbals) and the huge zither-like koto which puts me in mind of a Vietnamese Dan Tranh. 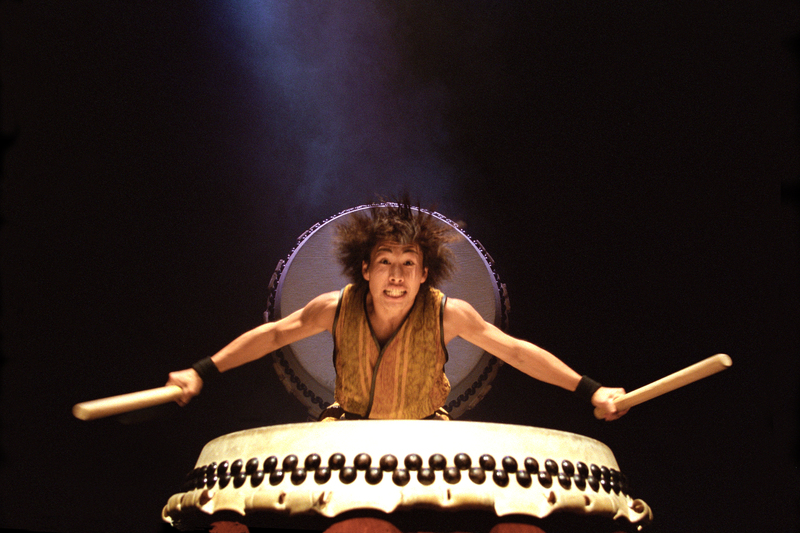 The best bits can be mesmerising with rapid choreographed drumming in drums in different tones. It’s becomes hypnotic in its pace. The show has all the flashiness of a Riverdance performance. There was energy, agility and skill in abundance but the glitz and humour in the performance didn’t work on me personally 0 although I was clearly in a minority as the crowd clapped and yelled their way through the 10 minute encore.